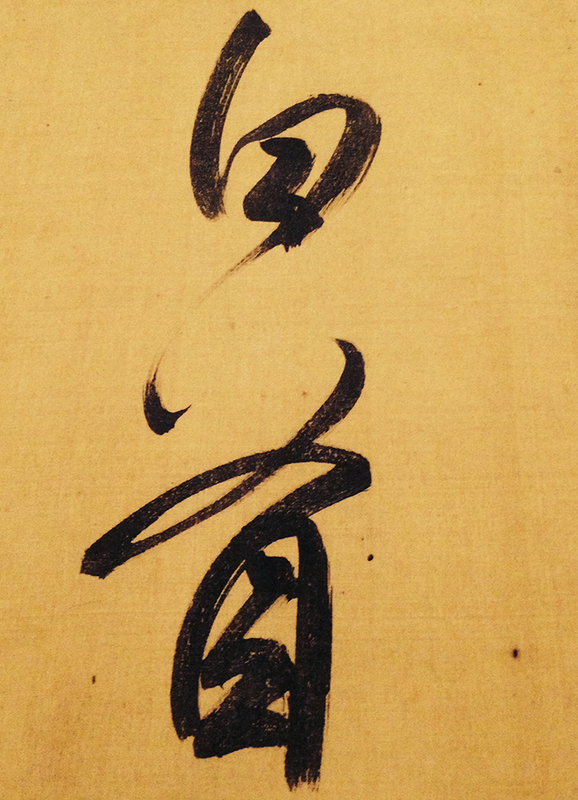 I know several people who are fascinated by Chinese calligraphy, but until recently I was not one of them. Well, not that I now plan to spend most of my time getting intimately acquainted with this esoteric art but I can say I gained a greater appreciation for it thanks to a good friend. Her nephew has studied the art for years and is a curator at the Met Museum in New York, where a group of us were treated to the superb exhibition ‘Out of Character: Decoding Chinese Calligraphy’. Our well-informed tour guide brought freshness and excitement to the interpretation and made it all accessible. 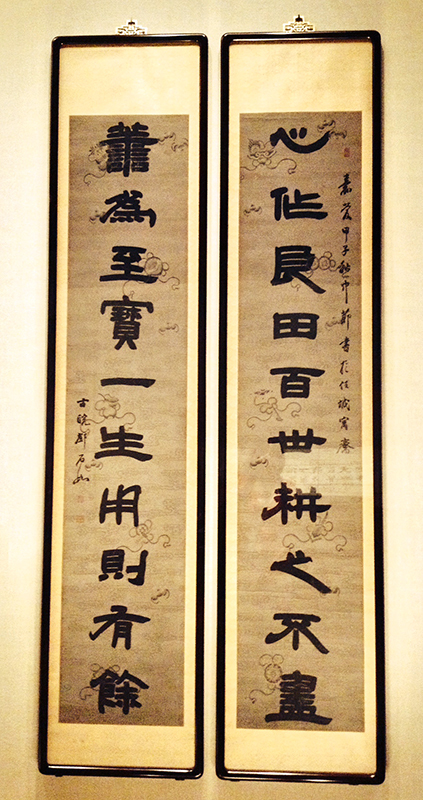 Calligraphy has long been considered the most expressive visual art in China—it is not just handwriting, but a visual expression of the writer’s spirit. This has made calligraphy very powerful as a social art, because in giving a work of calligraphy, one gives a piece of oneself. We learned about the different types of script: seal clerical cursive semi-cursive and standard. This may sound like rather dry information but the displays of the evolving symbols engaged us completely. Starting with basic strokes then moving to sweeping characters you could visualize the artist’s inky brush bending and touching fine paper or delicate fabric. Our guide described the way the brush was held and used – with the wrist perfectly still; the movement made with the whole arm, the shoulder – practically with one entire side of the body. We couldn’t help but think of a dance being performed. When we mentioned this notion to the guide she noted that Chinese calligraphers often created their art in front of audiences and in fact staged kinetic performances for all to admire their litheness. It is remarkable that this art was both a method of communication (exemplified by the various letters exchanged among the artists/writers) as well as a way to create beautiful drawings or paintings that would be displayed in scrolls and wall hangings. I suppose the equivalent in the western canon would be ‘illuminated’ manuscripts but those were meant to be texts above all. The calligraphy exhibition at the Met was extensive and could be appreciated as an overview of the art or as an in-depth examination of its history, its relation to the various Chinese dynasties and its technical execution. We were definitely in the overview camp – but a receptive and appreciative camp nonetheless.